Hello! Sorry about the short absence. There's no real reason for it, other than that my last couple of sewing projects have been failures, and I'm still deciding whether to share them or not! But I do have a success to share with you today, in the form of my latest project for the Minerva Crafts Blogger Network. However, even that isn't without some form of failure! I don’t mind admitting that my original plan for my April project for the Minerva Crafts Blogger Network ended in disaster. I had planned on making a draped jersey dress, but sadly made several errors which meant before the bodice was even complete it was beyond saving. Sewing while tired I managed to sew the outer shell and lining together so that the faced part of the lining – which matched the outer shell and would show in the draped neckline – was inside. What you could actually see was some bright white stretch lining! Of course, I only realised this once I had understitched the neckline and cap sleeves, and trimmed the seam allowances to next to nothing. Having slept on it I thought I could fix things, then discovered that I’d actually cut the bodice too small! Ugh! 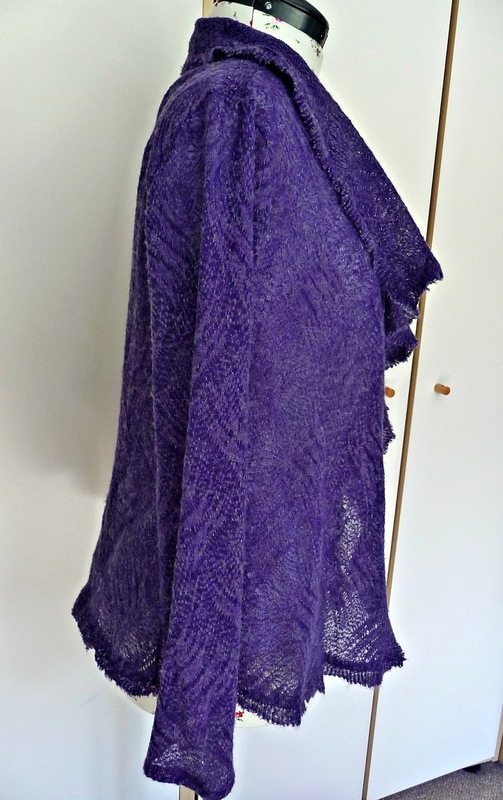 One panicked email to Vicki at Minerva later and I was onto plan B.
I actually had this purple textured knit in my stash, having bought it a while back because I thought it was gorgeous. 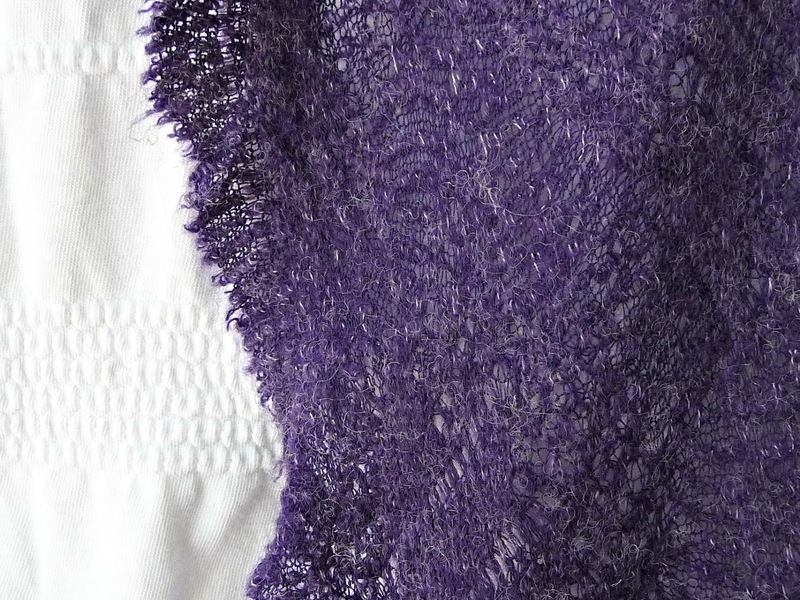 Only a couple of weeks ago I’d made it into a waterfall cardigan which I hadn’t yet blogged about. Vicki kindly said that she was happy for me to use this as my April project. I’ve wanted to make a waterfall cardigan for ages, but couldn’t find a pattern that was just right. 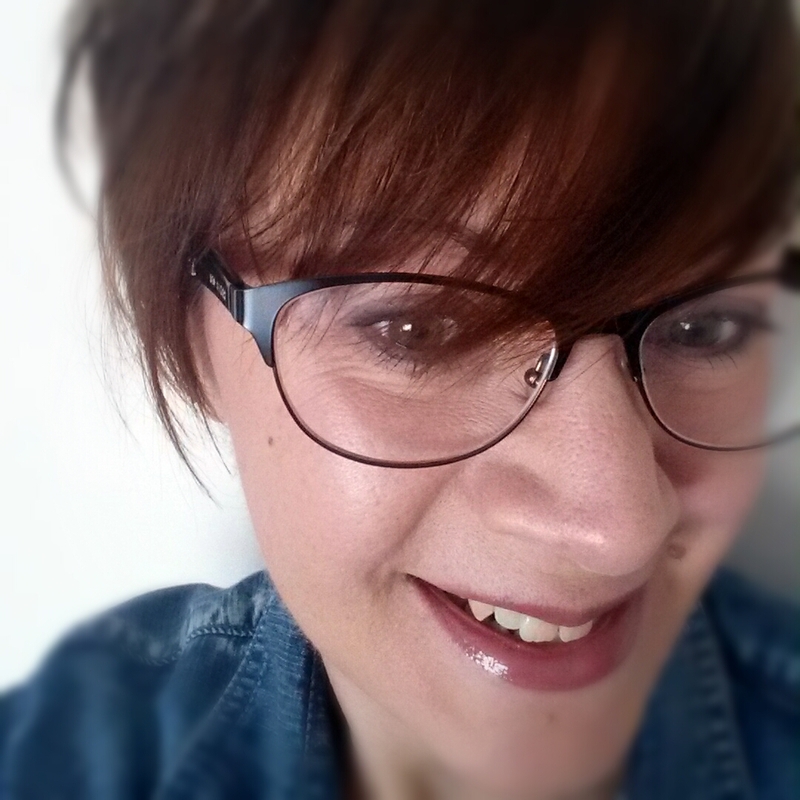 I’d received several suggestions on my blog, and then during an evening trawl of Pinterest I came across a tutorial by Katy of No Big Dill for the very thing I was looking for. You can find the tutorial here, it’s called the Billy Cardi. I used a self drafted jersey top pattern as my starting point. Katy’s tutorial was easy to follow, and I luckily had just the right amount of fabric. The fabric (which is available in several other colours – some of which may also be in my stash!) is gorgeous, and has a lovely, slightly ruffled selvedge. I decided to use this as the finish to the front edges of my cardigan. To do this I just cut the 2 fronts right on the edge of the fabric. The pieces went together really easily, and it is worth doing as the tutorial suggests and sewing the shoulder seams WRONG sides together and then topstitching. When the cardigan is worn you don’t see much of the shoulder seams, but you do see a lot of the inside of the collar seam – which is an extension of the shoulder seam. As the collar folds over you see the inside of the fabric and seam here. As you’ve sewn wrong sides together, you just see a nice, “normal” seam on the collar. In fact, in this fabric you can hardly see the seam at all. The sleeves are just turned under and hemmed with a slight zigzag stitch, but for the top of the collar and the body hem I wanted to use the remains of the ruffled selvedge. I cut the remaining selvedge off the fabric, giving myself a strip about 1.25” deep, and then zigzagged this to the hem and top edge of the collar. On the hem I sewed the right side of the strip to the wrong side of the fabric. On the top edge of the collar I sewed the right side of the strip to the right side of the collar, so that the strip is underneath the collar when it is folded back. The ruffled strips peep out about an inch and make a nice finish. As you can see from my photos this cardigan can be worn several different ways, and I think it’s going to prove a really useful addition to my wardrobe. Sorry your dress didn't pan out.. But you have a beautiful cardi.. Love the color and the fabric..Just perfect. Happy sewing. Thanks Jacq. In all honesty, the cardi will probably be far more useful than the dress, but it's a shame the dress was a fail! Wah! Fails are the worst! Your alternative project looks great tho. Love the colour! Thank you. I don't have fails very often, but I've had 3 in succession recently! Whoa, neat! When I first saw the picture, I thought you had knitted something up quickly! This is really great - so much faster! Thanks Gail. This way is MUCH faster than knitting!